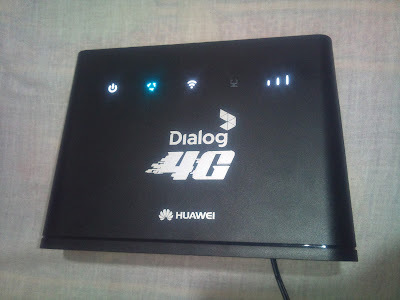 This is the method of HUAWEI B310s-925 Dialog 4G router configuration. 1. After the device is connected to the B310s through Wi-Fi or LAN port, launch a browser on the client and visit http://192.168.8.1. 2. Enter the user name and password to log-in to the web management page. The default user name and password are printed on the B310s bottom label. To protect your account, change the password after your first log-in. For details see the help information on the web management page. If you modify the SSID and Wi-Fi key, you must set up the Wi-Fi connection on the client again.